Launched in the year 1989 by Gary Zecevic, Calibre is a brand that specialises in men’s fashion and is celebrated as a fashion pioneer in Australia. The company began its humble journey almost a quarter century ago with its first boutique; one that exclusively catered to gentlemen. Calibre is recognised for its trademark style and its penchant for maintaining tradition in all its designs. As a rule, the brand serves to produce only the most premium fashion items for men. Calibre has been and continues to be a leader in men’s fashion. It continues to create exemplary fashion products that set its customers apart from the crowd. The brand, as a sign of loyalty to the founder, has never been known to chase the limelight and has always put passion ahead of fame. 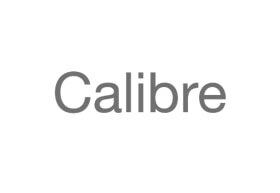 As the name speaks for itself, Calibre is all about delivering quality and creating stellar products. Calibre clothing products are, to say the least, contemporary, aspirational, and wearable. Of course, there is also the unrivalled quality that makes the Calibre brand a much sought after name. A typical Calibre clothing line-up consists of a wide range of ensembles that start with its custom-tailored garments and end with its fine collection of suits. The brand also produces an extensive series of fashion accessories that range from bags and wallets to high-end footwear. Just like its top-notch garments, Calibre’s fashion accessories enjoy the same level of detail and passion-driven design. All this and more can be enjoyed at the Calibre store in Chadstone. The store is located on the ground level and is easily accessible from the car park A.